List Your Boat With Us! 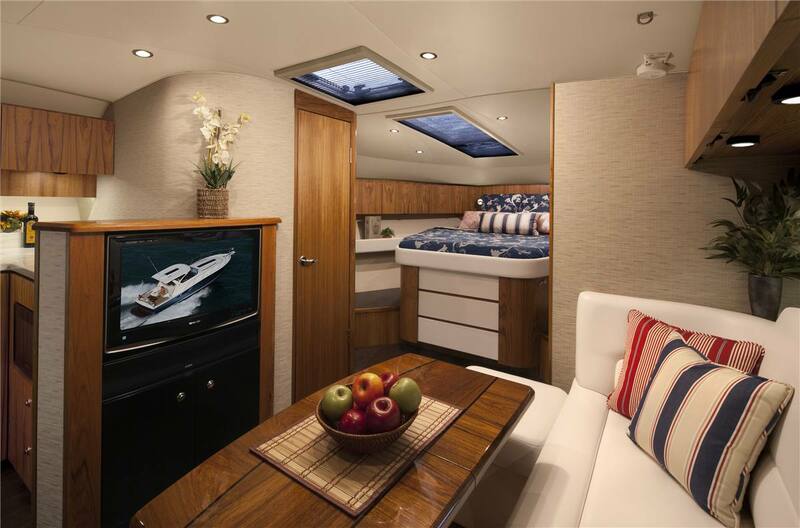 Design: Escape for the day or even a weekend and experience the spacious luxury that the 39 Tiara offers. 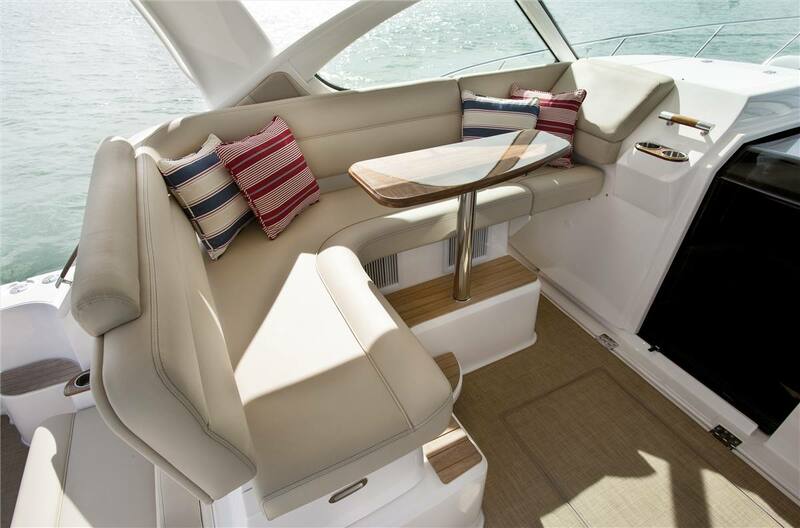 Ample seating, durable fabrics and available state-of-the-art electronics are just some of the features onboard. 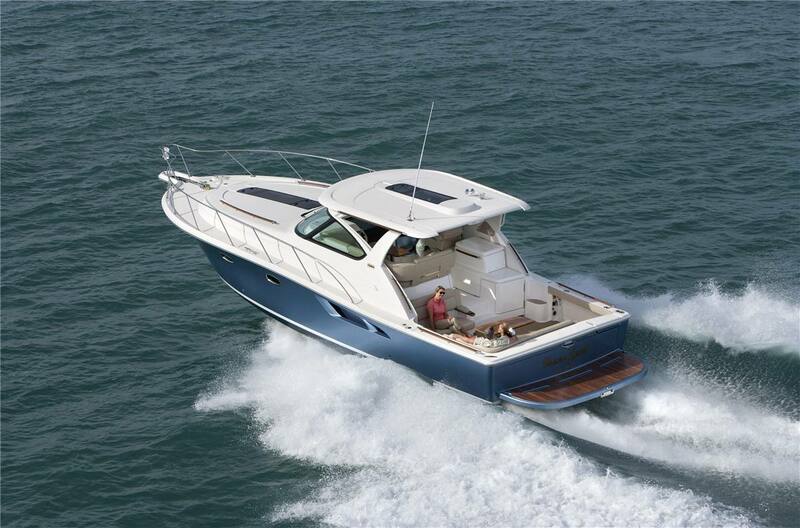 Option yours for cruising or fishing, and enjoy one carefree day on the water after another. 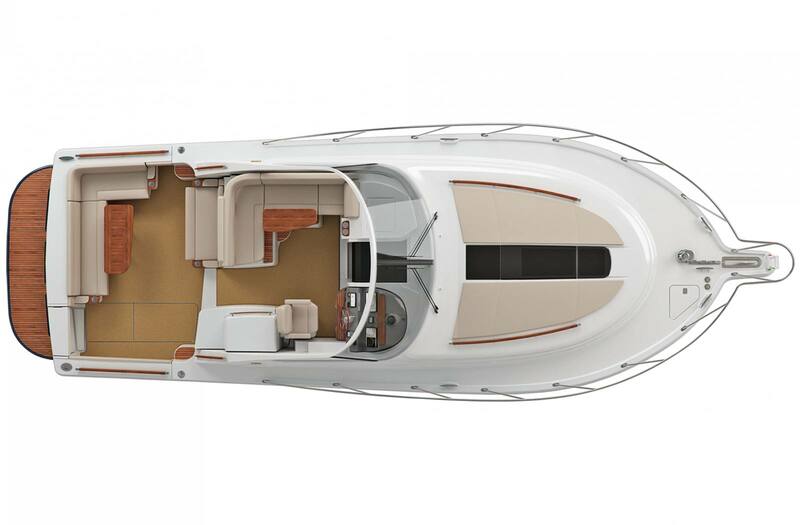 Engineering: The 39 Tiara is a serious performer. Sophisticated new designs delivering the style that every Tiara is built on; an unmatched heritage of American Made quality, strength and seakeeping designed to bring you safely home again. 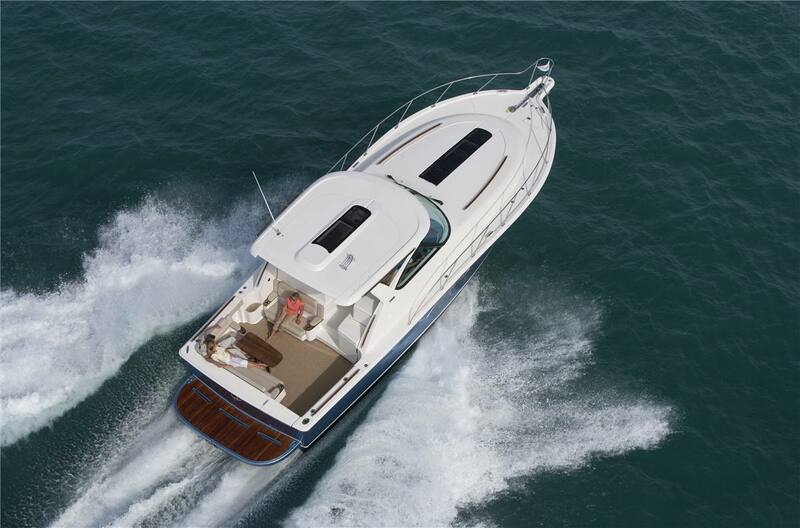 Layout: Escape for the day or even a weekend and experience the spacious luxury that the 39 Tiara offers. Deadrise at Transom: 18 deg. 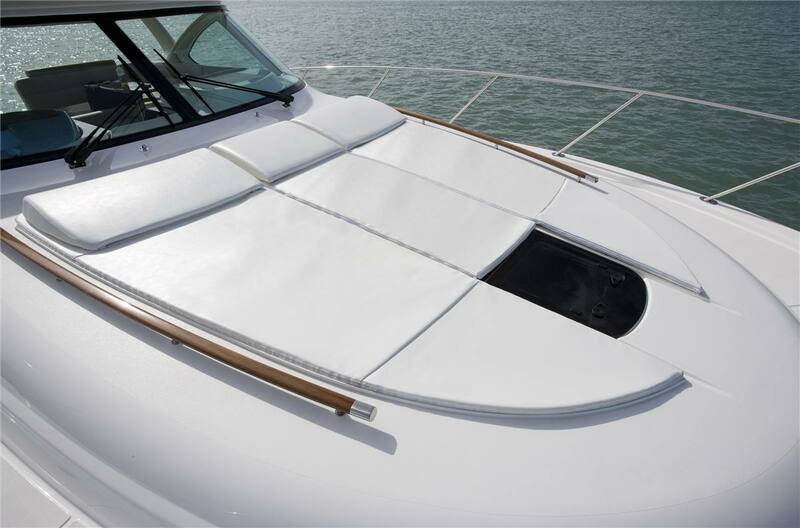 Tiara Yachts' transferable limited warranties: five years on hull, deck and fiberglass fuel tank; two years on accessories. Exclusions apply - refer to 2018 warranty statement for specific details and coverage areas. 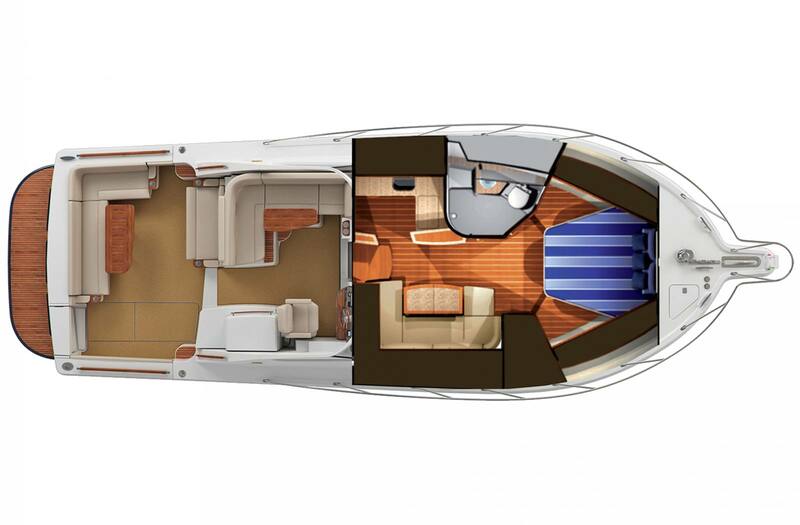 Hull constructed w/ a gelcoat outer layer, balsa cored hullsides, and hand-laid fiber glass using premium resin. Automatic rope/chain anchor windlass system with operation from foredeck foot pedal and remote switch at helm. Includes one (1) 10" S.S. foredeck cleat, 40' chain rode, 200' rope rode, and Delta® 35 lb. galvanized anchor. 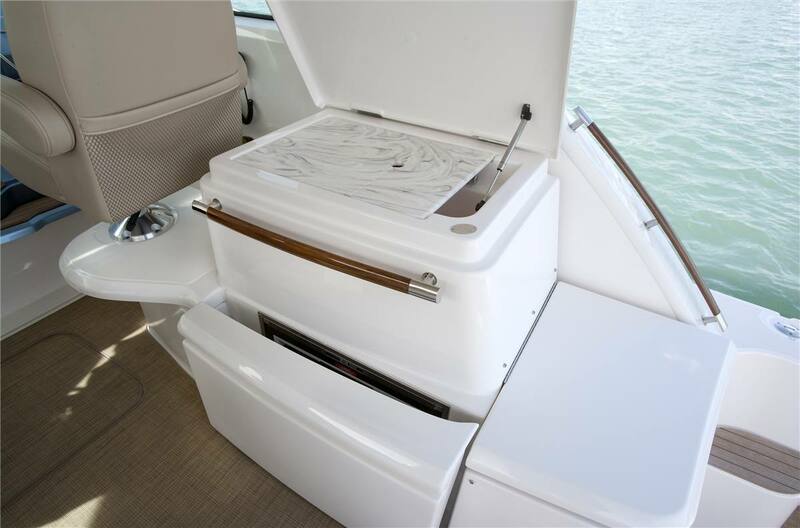 Hardtop with side enclosures and Lewmar® skylight with opening hatch. Tiara hinged helm console with full flush mount electronics capability, drink holder, and 18" S.S. destroyer tilt steering wheel. Manually adjustable helm seat. 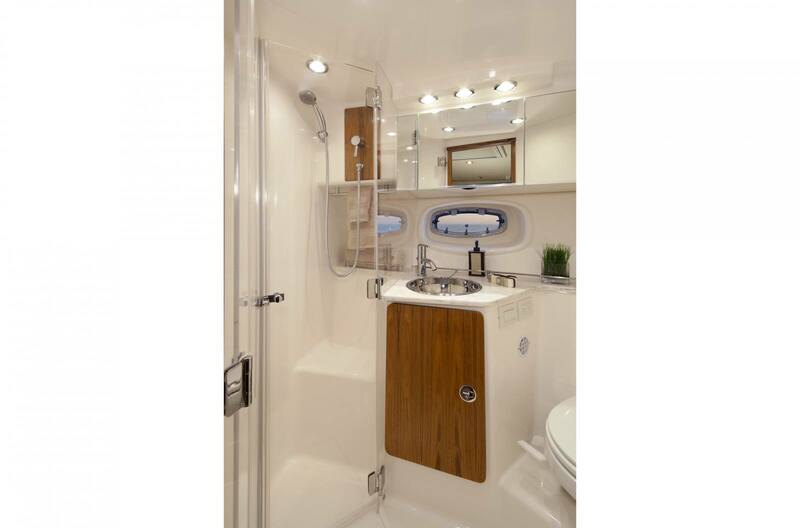 Includes wet bar with storage (aft of helm seat) and prep center with storage locker (aft of wet bar). 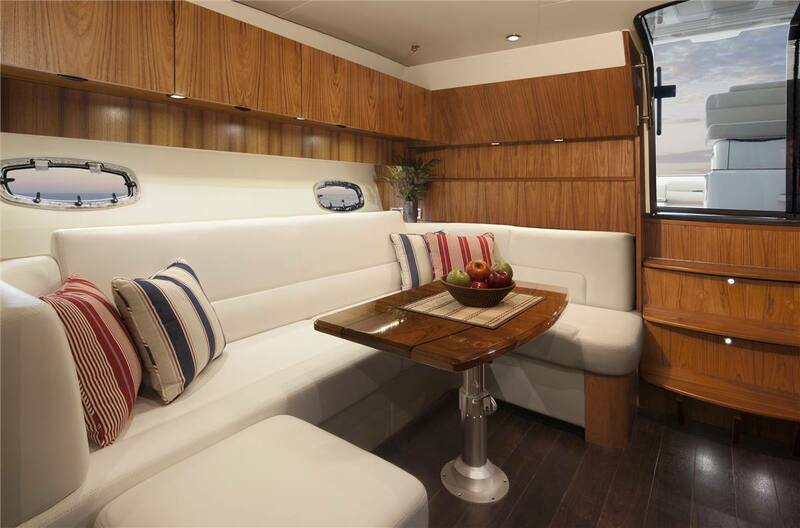 L-shaped lounge/dinette seating to starboard with storage below and high-gloss table; seats 5-6. Converts to double lower berth and single upper Pullman berth. Includes ottoman. Aquamet® S.S. prop shafts, 2 1/4"